Back in September, right before the Great American Beer Festival opened its doors to thousands of beer fans, I caught up with Brewers Association CEO Bob Pease. GABF now welcomes 15,000 people for each of its four sessions, where they can enjoy some 3,500 beers from more than 700 breweries. Organizing a festival of this magnitude takes a tremendous effort from those involved. In 2015, craft beer entered the next phase of its rapid development. This was the year big beer bought its most significant slice of craft so far, and Bob was able to provide insight into how this will affect the goals and purpose of the Brewers Association going forward. It was also a chance to quiz him on his relationship with the UK, including the Society of Independent Brewers (SIBA), the closest equivalent to the BA in my home country. Bob recently visited the UK and not only delivered a keynote address at SIBA’s annual conference, but also visited the founding members of the United Craft Brewers (UCB). The UCB is a brand new trade organization that aims to provide similar services to brewers in the UK as the BA does in the U.S. because they don’t think they’re getting what they need from existing groups. Do you think the Brewers Association definition of a craft brewer is as important now as it was when you first conceived it? Yes, I think maybe it’s even more important now. Especially given all these different transactions you’re seeing in the craft beverage space here in the United States. You just said “beverage,” so you mean this doesn’t just apply to beer. Of course, that means it applies to cider, distilleries, and wineries. We don’t make any judgment of what one brewery’s business model or business plan is. But it’s important for the Brewers Association to take a stand on who we represent. We represent the small and independent craft brewer. We feel and believe that the beer drinker is the person driving this whole craft beer revolution, and there’s a significant segment of the beer drinking population that really wants to support independent producers. So yes, we think our definition matters more than ever. With more and more breweries reaching the next stage of their development, it feels like craft has turned a corner—especially in the last five years. Brewery owners are getting older and looking for succession plans. Breweries like Founders or Lagunitas are selling more than 25% of their businesses so they no longer fit the BA definition. Do you think breweries like these can no longer be defined as craft brewers despite producing great beer? Well, they no longer meet the Brewers Association definition of a craft brewer. That doesn’t mean that those companies won’t continue to make world-class beer, because I’m very confident they will. But because of the strategic partnerships or alliances they’ve entered into, they’re going to have advantages that the rank and file members of the Brewers Association won’t have. Those advantages include an enhanced distribution footprint. They will have advantages when it comes to access to raw materials, and they’ll be able to benefit from the buying power of their partners. In Lagunitas’ case with Heineken, and in Founders' case, their partner Mahou San Miguel in Spain. That’s just the natural evolution of business, and it’s no surprise, what with all the success we’ve seen in craft brewing in the United States over the last 15 - 20 years, that these deals are taking place. It’s going to be a period of change, and that’s fine. So, for the Brewers Association, being a craft brewer is more dependent on size than the product that’s being produced? What if a brewery is still producing flavorful, artisanal beer, but they outgrow your definition? Well, like I said, they’re still going to make great beer. They can still be members of the Brewers Association. In the media we’re seeing the opinion that because brewery A sold 50% or 30% of their business, they’re going to be kicked out of the Brewers Association. Nothing could be further from the truth. They’re still very much welcome. We want them to be members of the Brewers Association. They will no longer meet our definition of a craft brewer. And mainly what that definition is used for is to calculate statistics of craft brewers’ market share. I think that’s an important distinction for everybody to understand: we’re trying to find ways of being inclusive with our membership. But is there a difference when a brewery sells more than 25% to a non-craft brewer? Is there a difference to that business model compared with somebody who remains independent? Yes, we firmly believe there is. Your target for 2020 is for what the BA defines as craft brewers to gain a 20% market share of all beer in the United States. Yep, 20% market share for 2020 by volume. Do you think, with breweries the size of Lagunitas and Founders leaving that definition, that target is going to be more difficult to achieve? What measures will you take at the Brewers Association to ensure you hit that target? Well, that “20 by 20” is an aspirational goal. If we don’t make 20 by 20, no one’s gonna get fired. It’s an aspirational goal and it’s good to have goals to shoot for, but yes, with Lagunitas at 601,000 barrels, and with Founders at 193,000 barrels, we’re going to take a bit of a step backwards. But, again, we’re happy for those companies and that they’ve made those choices, but we have to remain steadfast in who we represent, which is the small and independent craft brewer. Are you worried the steady consolidation of brewers in the U.S. could have a negative impact on the brewing industry at large, such as reduction in choice and quality of product? No, and not for the foreseeable future. I mean, we’re about to pass 4,000 breweries in the United States sometime in the next two months. [Editor’s note: that figure is currently at 4,144.] Breweries are still opening at a very healthy clip, one about every 14 - 16 hours. So no, I don’t think this will have a negative impact. When you look at 4,000 breweries, I mean, how many deals have there been? Twenty, 30, 40? There really hasn’t been that many. Will there be more? Of course, and again, people are looking for succession plans, and they’re looking for a way of handling their business. But overall, we don’t think that’s going to cause an impact. The train is not slowing down. You recently visited the UK, where we don’t have a trade organization anything like the size of the Brewers Association. A handful of UK brewers are, in fact, BA members themselves. How do you view British organizations similar to the BA such as SIBA? I was very impressed in my experience with SIBA and my opportunity to do the keynote address at their convention. Their managing director, Mike Brenner, came from [The Campaign for Real Ale]. I was impressed with their efforts to promote beer from independent brewers in the UK. I’ve also met recently with the organizers of the United Craft Brewers, who are a new group that are looking to be more like the Brewers Association. I think there’s room for all three of those organizations within the UK. We’ve had great respect for what CAMRA has done over the years. I mean, when you look at the Great British Beer Festival, that’s a crowning achievement. In fact, the Great British Beer Festival was the impetus for the Great American Beer Festival. We got our inspiration from the GBBF. Do we think that quality, world-class beer should be confined just to real ale? Obviously no, we don’t think that—it’s just a difference of opinions. We have great respect for real ale in this country, and I think a lot of that has come from CAMRA. But then with SIBA, we see what they do in terms of some of the success they’ve had in the government affairs arena like with achieving a more favorable tax structure for small, independent brewers. We hold that in high regard. 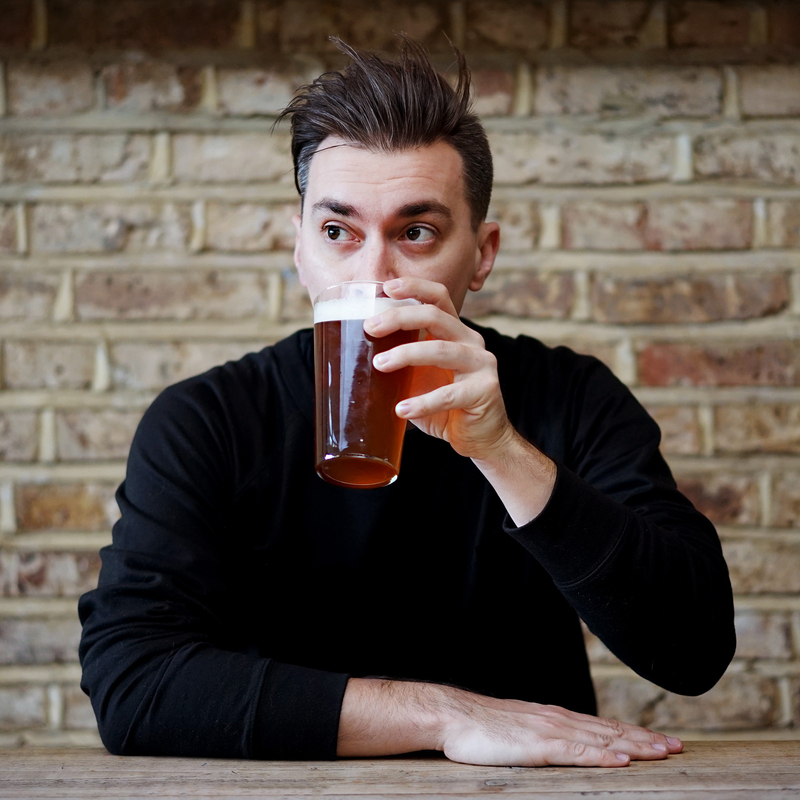 At the same time for the United Craft Brewers, is there room for them to really advocate on behalf of the new and emerging craft brewing community in the UK? I was going to attend the United Craft Brewers next because obviously that’s a part of the industry that excites me. It’s founding members — BrewDog, Magic Rock, Beavertown, and Camden Town Brewery — are some of the most forward thinking breweries we have. What do you think a new organization like the UCB could offer British breweries and the brewing industry at large that existing UK organizations like SIBA aren’t already offering? I don’t know the answer to that. When I was in the UK at the end of June I went to Camden Town Brewery and Beavertown Brewery in North London. I was very impressed with both breweries. The beers were fantastic. I don’t know enough about what the UCB is hoping to achieve, although I certainly pledged my willingness to help support those guys and gals because I know what they’re trying to do is a huge undertaking. I guess I would like to think that there’s a way for them to work cooperatively with SIBA and not in an adversarial posture. I’d hope that their worlds should be complementary to each other. Do you worry that maybe being adversarial could be part of their shtick, especially with BrewDog being so heavily involved? Being adversarial is part of how they market themselves. Could that have a negative impact? [laughs] Well, I have to be careful with that question, because BrewDog is about to open a facility here in the United States. Soon, they could become one of our members [laughs]. [Editor’s note: BrewDog are already a BA member] I don’t know, I guess that I’d need a better understanding of what the organizers of the UCB feel that they’re not getting from SIBA. Just coming back to BrewDog, they recently broke ground at the site of their new brewery in Columbus, Ohio. Do you think it’s a positive that they’re opening in the US? Oh, absolutely. Craft brewers still only have about an 11% market share by volume in the United States. We’re of the mindset at the Brewers Association that a rising tide floats all boats. The more the beer drinker is exposed to great beer, the more full-flavored beer the drinker is going to turn to. So that’s why we’d love to see the great craft brewers that are newly emerging in the UK, and all over the world, here in the United States. The craft beer revolution is not just confined to the United States. It’s happening everywhere. At the GBBF, we have this fantastic Biere Sans Frontieres stand featuring beer from all over the world. The BA bring over cask and bottled beers from U.S. breweries. Do you ever see something like that happening at the GABF? [long pause] In the immediate future, no, and I think one of the reasons for that is that for a number of years we haven’t been able to accommodate all of our own members that want to be part of the Great American Beer Festival. That has to be our focus, but I think now that we’ve got more space at the Great American Beer Festival here in Denver, we might be coming into a period where that idea would be entertained. That would be a decision that would be made by our board of directors and many of those men and women that are on the board have a really global outlook on the beer community. So the short answer is no, but the long-term answer is perhaps. In the UK, the export market for U.S. craft brewers is booming. We’re seeing new breweries arrive on an almost weekly basis. Firestone Walker just showed up, and Lagunitas is everywhere already. Do you think it would be a positive for UK brewers as they grow to distribute their beer to the U.S.? How important do you think that could be to your market? You know, we’re of the mindset that the consumer benefits from choice, and the more options that are out there for the consumer, the better. We reject the notion that there’s too many brands or too many breweries and the consumer is confused. The reason there are so many brands and there are so many breweries and so much choice is because that’s what the consumer, the beer drinker, is demanding. We love to see American craft beers exported abroad if the brewer takes the proper care and the exporting and distribution process is in place to make sure the beer remains in world-class condition. We like to see small and independent breweries opening in the UK. We think they complement each other. Properly cask conditioned beer seems to be one thing the UK still has over U.S. breweries. Would you like to see more U.S. brewers embrace cask beer? Yes, because it’s a great style. Well, I guess it’s much more than just a style—it’s a brewing tradition and technique. I think if you look at the GBBF, you see a lot of American craft brewers who send over casks to be part of the more traditional art of the Great British Beer Festival. So yeah, from a historical perspective, from an appreciation perspective, paying homage to the tradition and the origins of great beer, yes, we would like to see more of that. Do you think you’d ever have cask conditioned beer at the GABF? No, just the sheer size and the infrastructure of this event would make it difficult. It’s interesting, though: we did the Great American Beer Festival one time on the east coast in 1998. We did have cask beer at that event because it was small enough to be manageable. I’m heading into GABF now. Who do I need to check out? Well, you should start with Crooked Stave — they’re a rising star of the craft beer world. There’s a brewery out of Alabama called Back Forty. They’re definitely a good brewery to check out that a lot of people don’t really know much about. There’s some great breweries coming out of Florida like Biscayne Bay and Cigar City you’ve probably heard of. I had a Jai Alai only last night and it was tasting fantastic.